NFFTY 2013 is finally here and tickets are selling fast. This year brings with it another outstanding lineup of films from the world’s most promising young filmmakers, including the work of many talented young Seattle artists. A notable number of international young filmmakers will be joining the festival this year as well representing countries including Egypt, Denmark, Greece, South Africa, United Kingdom, Norway, India, and more. The four day festival is jam-packed with films but also includes opportunities to meet and mingle with the filmmakers, attend panel discussions with experts in the industry, and vote for your favorite high school competitors in the 48 hour film-off, just to name a few of the festival’s events. Below are some of the ways to engage with the inspiring opportunities that this festival brings to Seattle’s film scene. 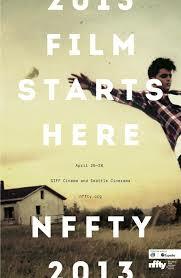 NFFTY 2013 begins this Thursday, April 25 with their opening night gala. This red carpeted event includes an outstanding lineup of short films and is a great opportunity to meet and mingle with Seattle’s finest, Hollywood industry and the young filmmakers of NFFTY 2013. Here is just a sampling of some of the local talent highlighted in this year’s festival. Check out all screenings here. Leo Pfeifer, 14: This local filmmaker as 2 films in the festival this year, both great documentaries. This year his film “74” deals with Referendum 74 and it’s passing. His films are featured in the Be Yourself screening on April 28. Chase Crittenden, 16: Chase’s film, “Lost and Found” is in the Centerpiece screening. This professional young filmmaker has had great success and is negotiating big deals for his next feature film. Andrew Mitrack, 22: A UW Student, his dark romantic comedy “One Way Single” is in the Closing Night screening. In addition to the many films, the festival also includes a competition of films that participated in the 48 hour film-off. Participants included nine local high schools who are competing for $1500 in cash for their school’s film program. This Saturday, you can watch all the films and cheer on your choice school. These panels offer young filmmakers a chance to engage with experts in the filmmaking field, including filmmakers, corporate brand leaders, digital distribution expert, as well as NFFTY alumni who are now editors, cinematographers, writers, production designers, and costume designers. Discussions will help any young person looking to go into a career in the filmmaking industry a sense for how to navigate their own path to success. You can find more information on these panels here. Our condolences go out to the victims of the terrifying attacks that unfolded on Monday in Boston. reparedness in the face of disaster. While we can’t always prevent tragedies that put people in serious danger, what we can do is be prepared and know how to respond to emergencies, whether they are natural disasters or the work of people who seek to cause harm. Please take some time to make sure you have the knowledge to respond to crisis. 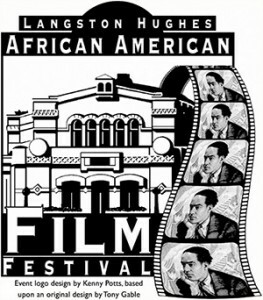 Celebrating it’s tenth year, the Langston Hughes African American Film Festival opens Saturday, April 13 and goes through April 21. The nine day festival is put on by the Langston Hughes Performing Arts Center at their newly renovated home in the Central District. Along with feature length films and short, the festival is also holding workshops and community events. This year, the festival takes a look back with a 30th anniversary screening of the sci-fi classic Brother from Another Planet, and a look forward with a presentation of actor/director Robert Townsend’s newest independent film In the Hive. Check out the full schedule!